For inquiries in English, click here or email amy@amyfranks.net. For inquiries in Japanese, email hasegawa_project@rupoken.com. Kenichi Hasegawa was born in Iitate, Fukushima Prefecture in 1953. Until March 2011 he raised dairy cows and wild boar on his family farm in Iitate. A local government leader, he was also the head of Maeta, a ward within the village. 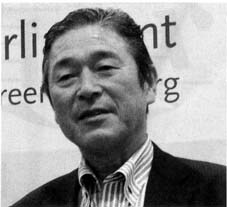 After learning about the Fukuishima Daiichi accident and radioactive contamination in his community, and while other officials tried to suppress this alarming but vital information, he took action immediately by convening a meeting of local residents to explain the situation and offer guidance for how to safely respond. Even though he and the other residents were ultimately forced to leave their hometown, Hasegawa continues to work on behalf of the people of Iitate by documenting the village in photographs and video, and by speaking out about the failure of the Japanese government to provide Fukushima residents with timely and honest information about the disaster. In addition, he has traveled both within Japan and overseas to tell his story. Most recently, he was featured in Greenpeace International's "Fukushima: Don't Forget" campaign along with four other extraordinary Fukushima survivors and advocates. Three years after the accident, Hasegawa still lives in temporary housing in Date, a city in the northern part of the prefecture, with his wife and parents. One of the things he misses most about his pre-3/11 life is living in the same house with his entire family. His children and grandchildren now live elsewhere. In addition to Fukushima's Stolen Lives (2012), Hasegawa is also the author of a photo diary entitled Iitate (2013), as well as a shorter testimonial about 3/11 entitled Witness: What happened on the day we lost our town (2012). Yukuo Yasuda was born in Kumamoto Prefecture. A graduate of Meiji University School of Law, he was admitted to the Tokyo Bar Association in April 1981. Throughout his career, he has worked tirelessly on behalf of the victims of such events as industrial accidents, pollution, and malpractice. He currently represents a number of Fukushima nuclear victims in litigation against TEPCO. 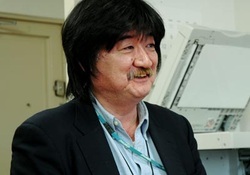 Along with Shojiro Akashi (introduced below) he has been been instrumental in the current effort to have Kenichi Hasegawa's book translated into English. Major Cases: Tokyo HIV litigation (HIV-tainted blood cases), medical malpractice litigation (retinopathy of prematurity, etc. ), waste matter issues (Tokorozawa-Asahi Television dioxin litigation, Morioka insecticide spraying compensation litigation, etc. ), and litigation concerning Yushō disease. 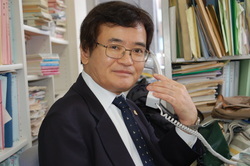 Yasuda also serves as a special advisor to the Minamata disease victims group, Minamata-byō Izumi no kai. Director of the Reportage Laboratory Co., Ltd.
Born in Tokyo, Shojiro Akashi graduated from Tōyō University in 1985 with a degree in sociology. A reporter since 1987, he writes on a variety of topics, including nuclear power, pollution and food production, and copyright issues. In addition, he is an expert on Tokyo's Tsukiji fish market and bluefin tuna in the Tsugaru Strait. Akashi also works as a freelance television producer. His 1994 special broadcast on the Nippon TV NNN News Plus 1 channel--"Japan Conflict Map"-- earned a Commercial Broadcasting Federation Award. The show explored conflicts between local residents and the government arising from urban development projects. He established the Reportage Laboratory in 2010, which he describes as a new journalism business model for a changing world. 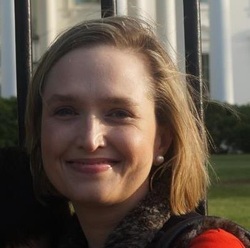 Born in Iowa, Amy Franks received her PhD in Japanese language and literature from Yale University in 2009. A long-time student of Japanese language and culture, Amy currently works as a professional translator and adjunct professor of Japanese language in the Washington D.C. area.